I don't understand how to add my WeMo. Any assistance would be appreciated. Re: How do I add a WeMo mini switch to the HomeControl interface? Adding a new WeMo switch is not hard. 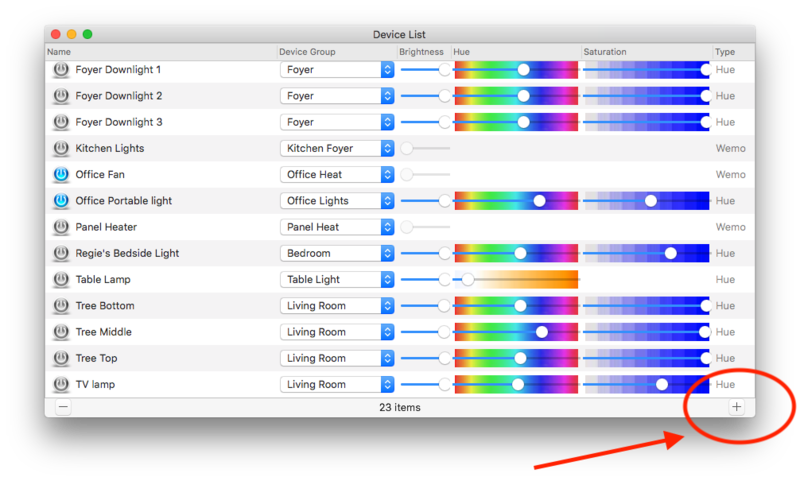 No configuration in Preferences is needed to add a Wemo. All you need is the IP address of the Wemo you want to add. First, open your Device List by hitting command-D or using the menubar option. click the + button at the bottom right. This will open the window for adding a new device. 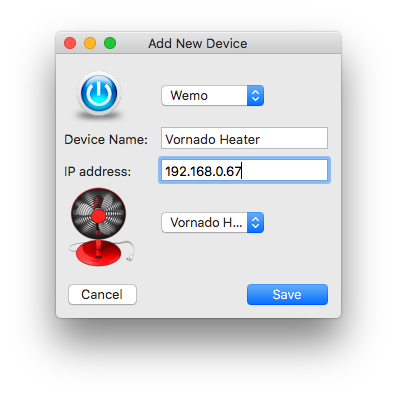 Just make sure that you have "Wemo" selected in the dropdown, pick any name that you want to call your device, and input the local IP address for your Wemo. You can also optionally select a group from the bottom pull-down menu to put the device in. Click the "Save" button and your Wemo is added! You can see it at the bottom of the device list. And you can turn it on/off by double-clicking. 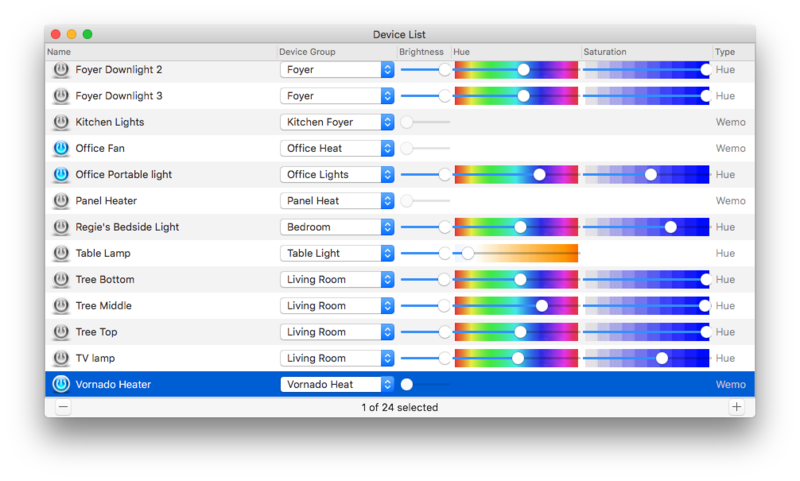 The order of the devices in the menubar will match whatever order you choose to sort the items in on the Device List window. 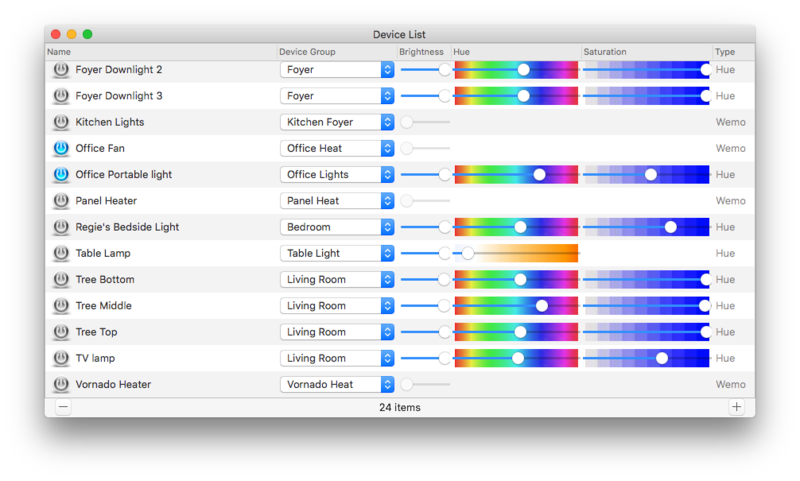 If you added the device to a group, you can also control it from the Group interfaces. Have fun controlling your Wemo! Wow. Thank you for the quick response. That was easy!